The investment bank GP Bullhound predicts that Spotify could become the third largest online advertising platform, behind only Facebook and Google, according to a report released by the British bank last week. 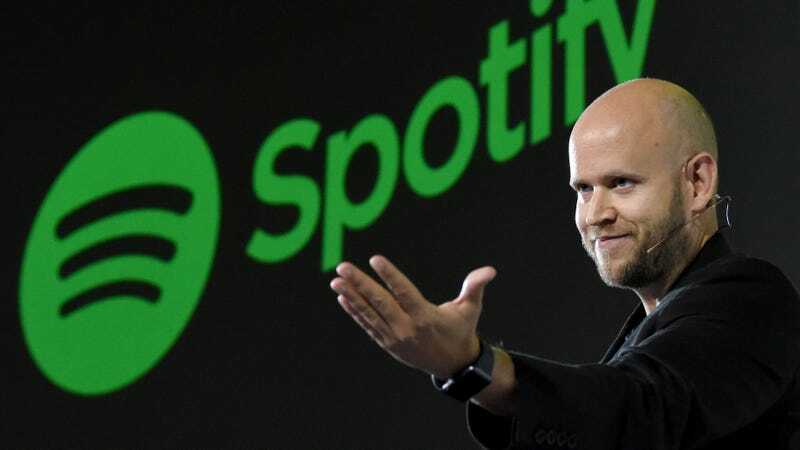 GP Bullhound is an investor in Spotify and in its report, argues that the Swedish streaming giant could amass 200 million paid subscribers and be valued at $55 billion by 2020. (Earlier this year, Reuters reported that Spotify was valued at $16 billion.) GP Bullhound says its valuation is based on Spotify’s growth in established Western countries and its expansion into emerging markets like India, Indonesia, and Japan. The bank argues that Spotify should start leveraging its subscriber base and data to step into the advertising space. Speaking to TrackRecord over the phone from Sweden, Hampus Hellermark, an analyst at GP Bullhound, said “We believe that emerging markets will have more free users than paid subscribers.” An increase in free users means a greater reliance on Spotify’s ad programming to make up for the costs lost from subscriptions as the company grows. But neither Hellermark nor the bank’s report offered much insight into how Spotify could capitalize on its growing user base to enter the advertising space. Speaking to TrackRecord over email, Mark Mulligan, a researcher with MiDia Research, a media and technology analysis company, explained that most people who pay for Spotify may eventually plateau. “Most consumers are not interested in paying $9.99 a month for music,” writes Mulligan. Spotify, with its paid subscription model, is in the music industry’s good graces, because that sends more money their way, in the form of royalties paid out to artists, compared to its ad-supported model. The music industry already distrusts YouTube, which uses an ad-supported model. If Spotify’s ad-based tier continues to outpaces its paid subscriptions, that could alter Spotify’s place within the music ecosystem.